For young chamber ensembles in regional Victoria looking to take the next step, our Regional Music Exchange program provides professional development sessions with industry leaders and a managed tour across the state. 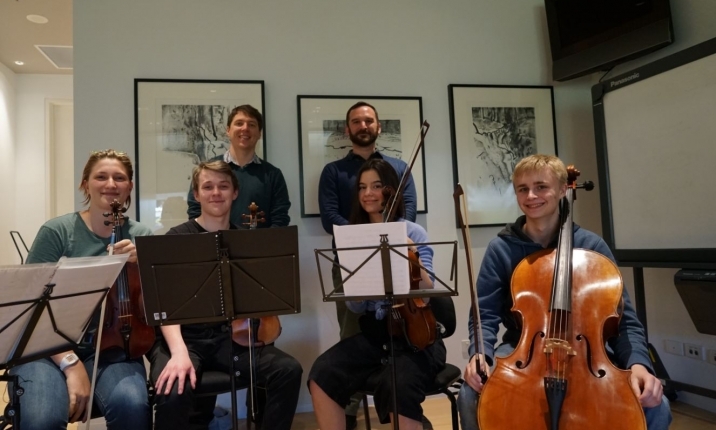 Working together with violinist John Noble and the iTet program, this year a young string quartet from Bendigo Secondary College embark on a regional tour visiting Aged Care facilities in Euroa, Shepparton and Wangaratta. Providing young artists with important development opportunities, and older Victorian residents with enriching live musical experiences, the Regional Music Exchange program is connecting generations through the power of performance.